"has followed SWAT teams through the door on drug busts, traveled from Cuba to Kazakhstan with the 82nd Airborne, weathered live broadcasts during hurricanes, gone nose to nose with 14 foot Great White sharks during underwater expeditions and for nearly two decades has been the project videographer on the Queen Anne’s Revenge Shipwreck Project." Mr Allen's video production company, Nautilus, "produced a substantial archive of video and still images showing... the efforts of teams of divers and archaeologists to recover various artifacts from the wreck." The complaint says that Allen owns the copyright in these materials (which are licensed to and commercialised by Nautilus). The disagreements began in 2013, when North Carolina's Department of Cultural Resources (DCR) uploaded some of Allen's video footage online. 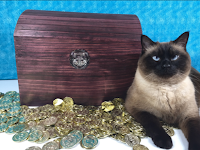 Allen complained that this infringed several of his copyright registrations and was apparently vindicated, as the State agreed to pay $15,000 compensation for copyright infringement. The complaint says that North Carolina's state officials and the DCR continued to infringe Allen's copyrights after the settlement agreement, uploading several more Youtube videos (including 'Raising Blackbeard's Anchor'). "Defendants well knew or should have known that only Congress has the right to pass laws governing copyrights, yet conspired to craft and obtain passage of a North Carolina statute, N.C. Gen. Stat. §121-25(b) that removed Plaintiffs’ works, and those of similarly situated persons, from the copyright protection to which they are entitled." 1. §121-25. License to conduct exploration, recovery or salvage operations. (b) All photographs, video recordings, or other documentary materials of a derelict vessel or shipwreck or its contents, relics, artifacts, or historic materials in the custody of any agency of North Carolina government or its subdivisions shall be a public record... There shall be no limitation on the use of or no requirement to alter any such photograph, video recordings, or other documentary material, and any such provision in any agreement, permit, or license shall be void and unenforceable as a matter of public policy. How often does the defendant in a copyright infringement claim try to change the law to escape liability? Even if the law survives, it would seem odd if it applied retrospectively to infringements committed before it was passed. If Allen has got his facts right, it looks like the State of North Carolina may have to reach into its pockets and shell out a substantial proportion of Blackbeard's gold to make amends. 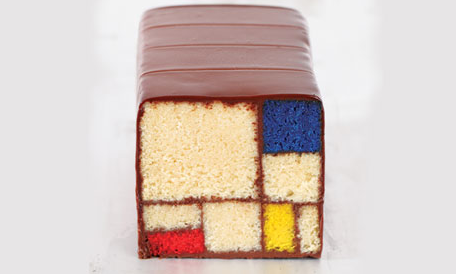 Caitlin Freeman's Piet Mondrian cake. Cake plagiarism: Had it not been for the three slices of lemon cake this Kat ate shortly before coming across this picture, he might have had trouble focusing on the plagiarism element of this story. The cake pictured is served at the San Francisco Museum of Modern Art (SFMOMA). It was originally developed by Caitlin Freeman, a pastry chef who ran the Museum's 5th Floor Blue Bottle Cafe. When SFMOMA reopened after a major refurbishment, it did not renew Blue Bottle's contract, instead giving the space to a new company who are continuing to make the range of art inspired cakes developed by their predecessor. Freeman is understandably irritated by this: "if they didn't want what I was doing, then why is this happening?" she told the San Francisco Chronicle. There is no suggestion, however, that she is contemplating an IP infringement claim: "[the appropriation is "tacky and gross but there's kind of nothing I can do about it" Freeman said. While it sounds like she has been treated badly by SFMOMA, Freeman has enjoyed success off the back of her work with the museum, seeing her Blue Bottle brand expand across the country and publishing the cookbook Modern Art Desserts. Too bad - it looks like some tasty evidence!